At this time of year my thoughts turn to ribs. Not my ribs! With the warmer weather coming to the UK, but still a hint of winter in the air, for me pork ribs in a good sauce bridges across the seasons and leads me to outdoor cooking in the months to come. 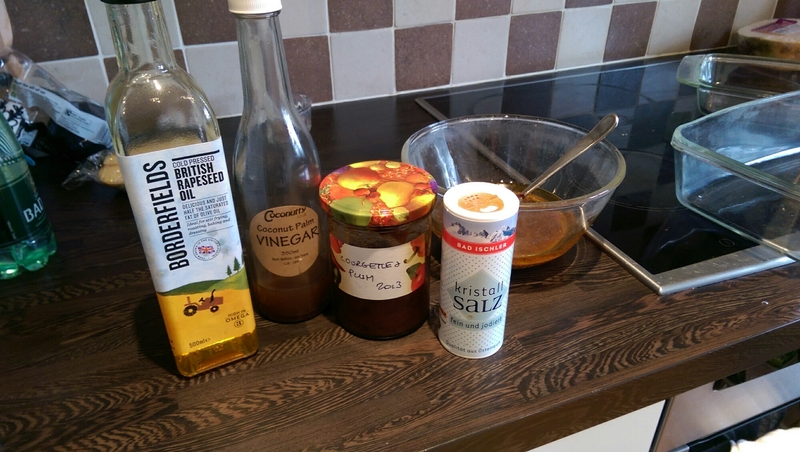 Any extra virgin oil (rapeseed here, but make your own choice) , vinegar (I like coconut palm vinegar for flavour) , the most important ingredient, home made chutney from fruit and vegetables grown in the garden (this has the sugar content) and finally some salt. 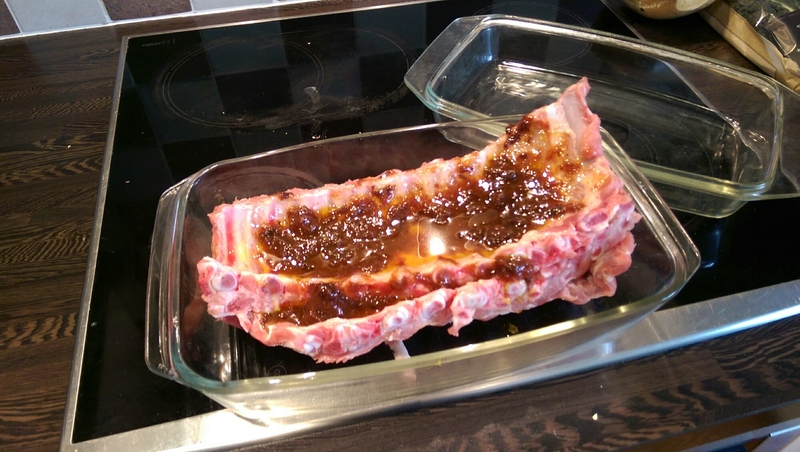 Make a liquid marinade from the ingredients as you see fit and coat the ribs. Leave to marinade for 2 hours or overnight in the refrigerator. 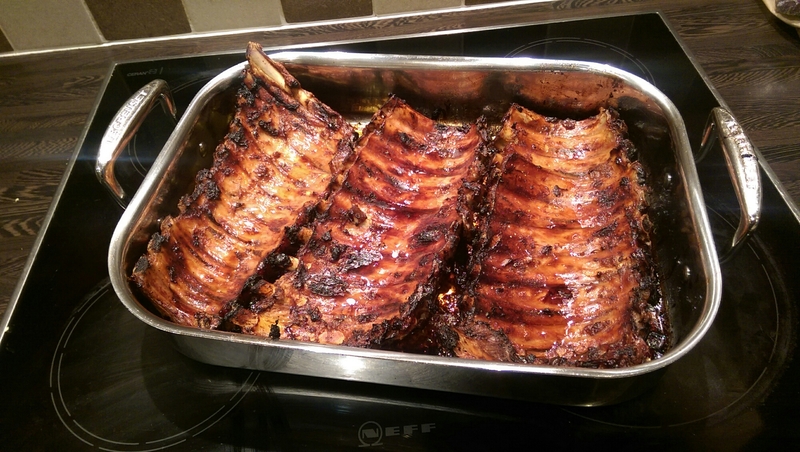 When you are ready to cook the ribs, put them in a dish or tray, cover and cook in a hot oven for 30 minutes then turn it down and cook moderate for 90 minutes. After 2 hours it will be a wet mess and you need to dry it out and caramelise the sugar. So, spread the racks out on a tray and cover with the wet marinade from the cooking tray. Turn the oven up and drive the water off and crisp up the ribs in 30 to 40 minutes. Get a load of tissues, finger bowls, some coleslaw and salad leaves, get messy and eat primal.